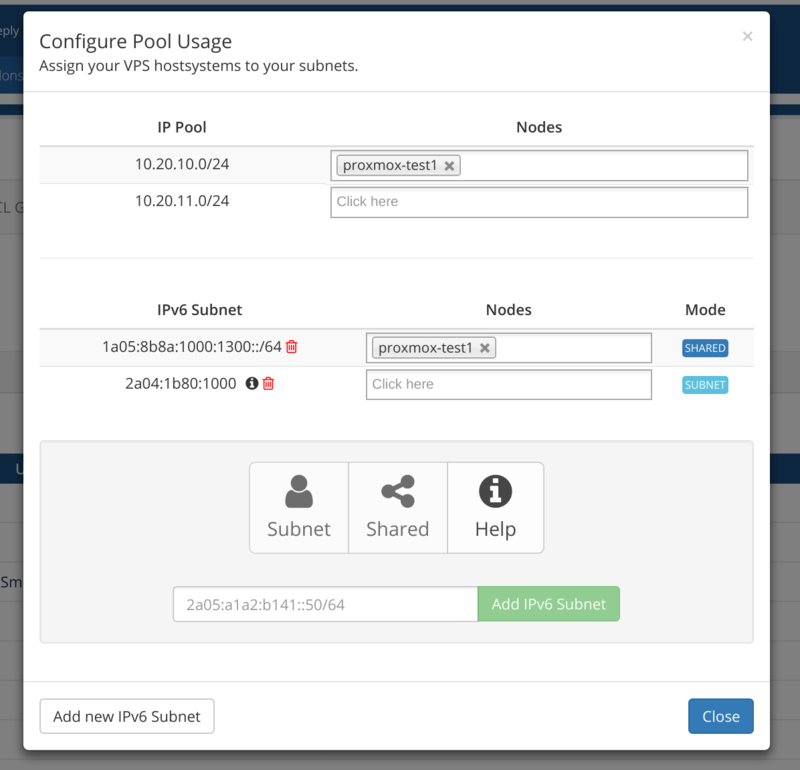 The module has an integrated IP Manager which is used for the VPS provisioning. If a new VPS get created by the system, the module will look up the IP Manager for an available IP address. 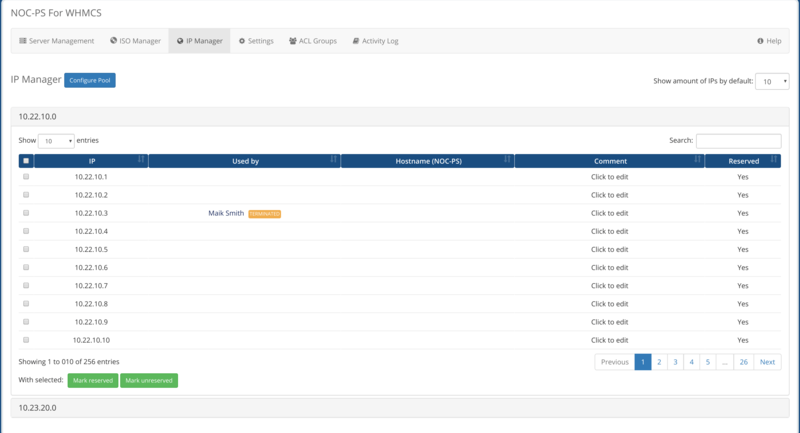 You can also see the assigned IPs of dedicated servers and vps. In ip manager you can specify exactly which host systems which ip ranges can use. This is useful if you host systems spread over several locations or located in different vlans. Our software can automatically assign IPv6 addresses to virtual servers upon creation by WHMCS. 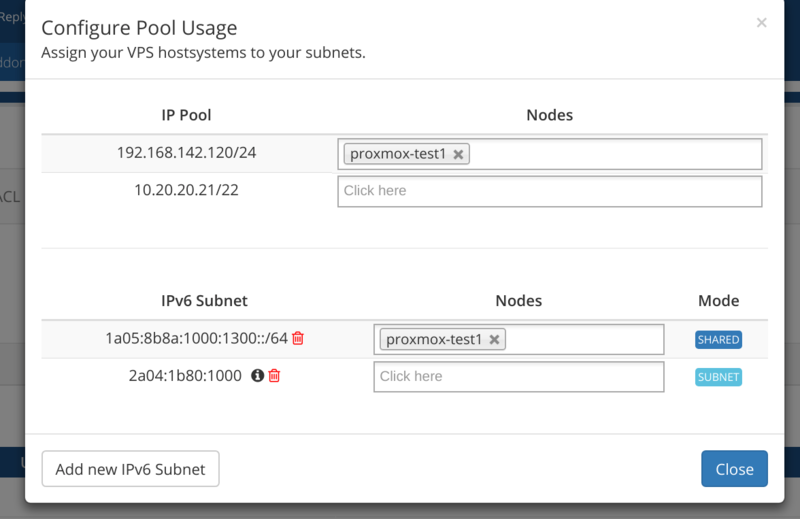 As with ipv4 addresses, you can specify exactly which host systems should use which subnets.